This was taken after the arm was set and after lots of pain meds…girl was loopy! 5 minutes into the drive I get a call from Casey and I answer it – my truck has bluetooth so the call is broadcast over the speakers of the truck. This is usually a very handy thing to have. Not this time. Me, grabbing for the phone, knocking it out of it’s cradle to the truck floor, still driving as described above, lean down to grab the phone……..BLUETOOTH: OFF!!! I was sure and fortunately I was also right. We got to Lakeway and there was zero wait. We had her in the doors, into a room, and being cared for in probably two minutes. The pain killers first took effect probably less than 10 minutes from when we parked the car and the biggest issue during that time was convincing the girl whose forearm was in the shape of a Z to allow the doctor to stick the IV needle into her other arm so she could get her pain medicine…girl doesn’t like needles! Aaaahhh, a little relief. My girl is being cared for, the pain meds are starting to work, and she’s going to be alright. I can relax a little – she’s in good hands. And that’s when I noticed how freaked out I had been. All of a sudden I become aware of how fast my heart is pounding in my chest, how dry my mouth is, and how I’ve apparently been on the verge of tears since I first saw Eliot walking down the stairs. I need to sit down and I need some water. Baby girl is going to be ok soon……. Meanwhile, back at the house…. Brooklyn, Ryan, and Britton: “Is that why you always tell us to put our toys away so that things like this won’t happen? ?” All of them beginning to sob. 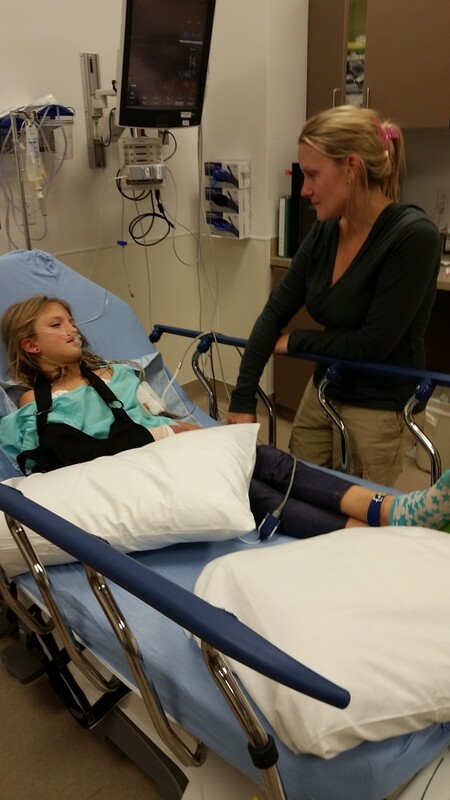 “It’s all our fault that she broke her arm!! !” (Lila and Jack are sort of concerned, but mostly not.) Keep in mind that Casey is still sobbing at this point. Back at the hospital, Eliot’s pain meds have kicked in and x-rays have been taken – both bones in her right arm are snapped like a twig – and it’s almost time to set them. Doctor: “Ok, we’re about to set her arm. I’m going to give her some medicine for the pain, but it won’t take away all of the pain. She’ll get really sleepy and she’ll be in and out while we’re doing it. She’ll be in a lot of pain and there will be some screaming, but when it’s done she won’t remember a thing. Flashback: I broke my leg when I was in the 2nd or 3rd grade while playing football in the front yard with my brother and I have this fuzzy memory from that time that I can never fully grasp. I am in a hospital room with a few doctors and/or nurses and I’m on a table. They’re doing something to my leg and I keeping slipping in and out of consciousness. I can tell in the memory that I’m in misery, but I don’t really remember the misery part or why I was so miserable. I don’t remember the pain, but I now know fully what that strange, fuzzy memory is all about and I know what Eliot is about to go through. Other thoughts: Ok, she’s going to get through this just like I did when I broke my leg. She’s going to be alright and this is one of those moments that she’ll never forget. 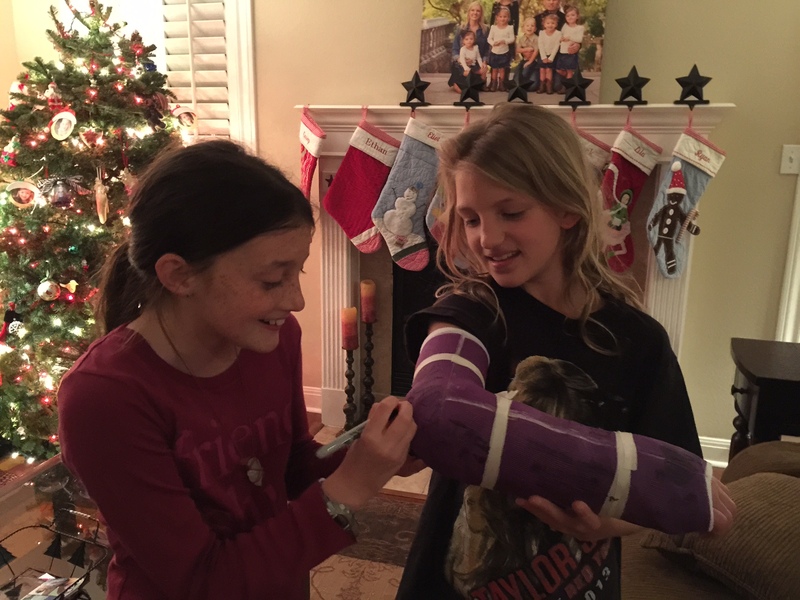 The cartwheel, the ride to the hospital, the fear, the cast she’s going to have, the attention – she’ll never forget any of it. Maybe this will be a turning point for her where she begins to realize that she can handle things that she never thought she could handle before. This is a character builder for sure. One more thought: I’m glad Casey isn’t here to see this. Last one for now: Man, I hate character builders…. Setting the bones was every bit as awful as the doctor described it would be. They pumped her full of meds which knocked her out, but almost as soon as they started working on the arm she would wake up and start writhing in pain. The anesthesiologist stayed right by her with a full syringe, ready to pump more meds at the doctor’s orders. He was a busy man for those 10 minutes. I learned something that night: the science of setting a bone in 2014 is much like I’m guessing it was done in the year 2014 B.C. This is not a good thing. While the doctor wrenched and pushed and pulled and jerked and all other manner of things you would never, ever, ever do to a person’s broken arm, four of us (I was recruited for the effort) held Eliot down (girl is strong!) while the anesthesiologist kept pumping the meds (and she metabolizes pain medicine fast!). When they were done, she had given up the fight and was sleeping soundlessly while they put on her splint and took another round of x-rays. I collapsed into a chair by her bed, got some cold water down my throat, and started to make calls and send texts. Casey had called a good friend who came over to hang with the Fab Five and was on the road heading our way. 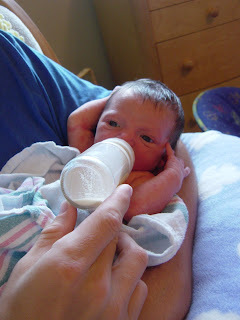 About the time Casey got to the hospital, Eliot was waking up and as soon as her eyes were open she became Miss Chatty. She was hopped up on silly pills apparently and was ready to tell all about her experience. The drive – Mom, dad ran through 3 red lights! – putting in the IV, what were the 5 doing? Who was with them? Am I going to school tomorrow? What color will my cast be? Do I get ice cream? 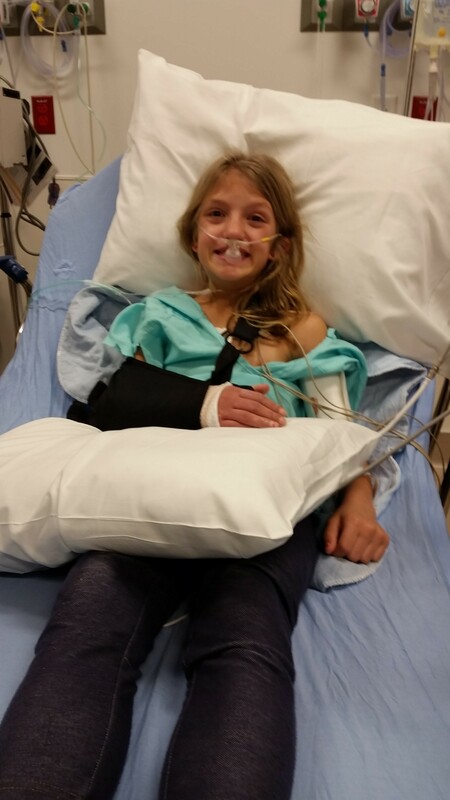 By the way, I kept mentioning that Eliot was holding her left arm over her right – she did it from the moment she broke the arm to when they were putting in her IV. But she broke her right arm and after it was all over I realized that she hadn’t been holding up her broken arm with her good arm; she had been holding her good arm over her broken arm. Casey asked her why she was doing that and she said it was because she didn’t want to see her broken arm because it scared her. I mentioned that her forearm was in the shape of a Z and I wasn’t kidding. 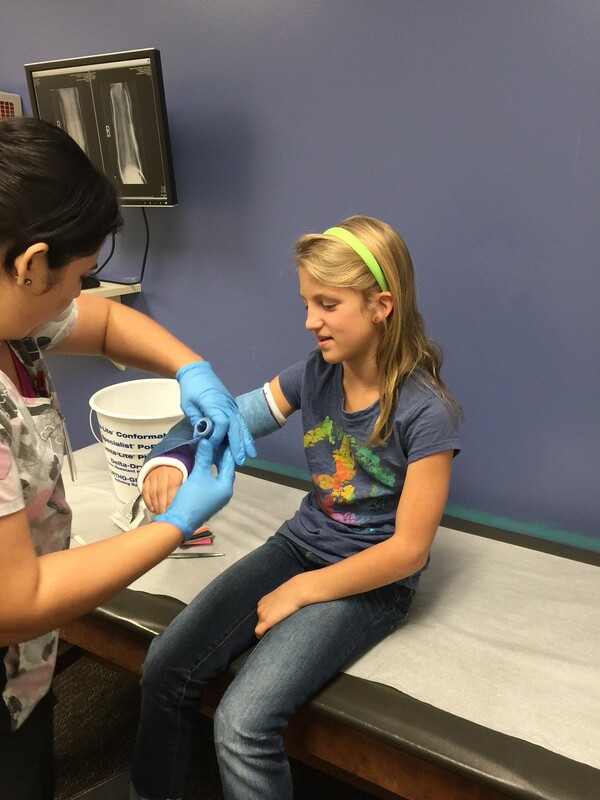 She said she felt like she was in a dream and didn’t think that her arm really looked like that. 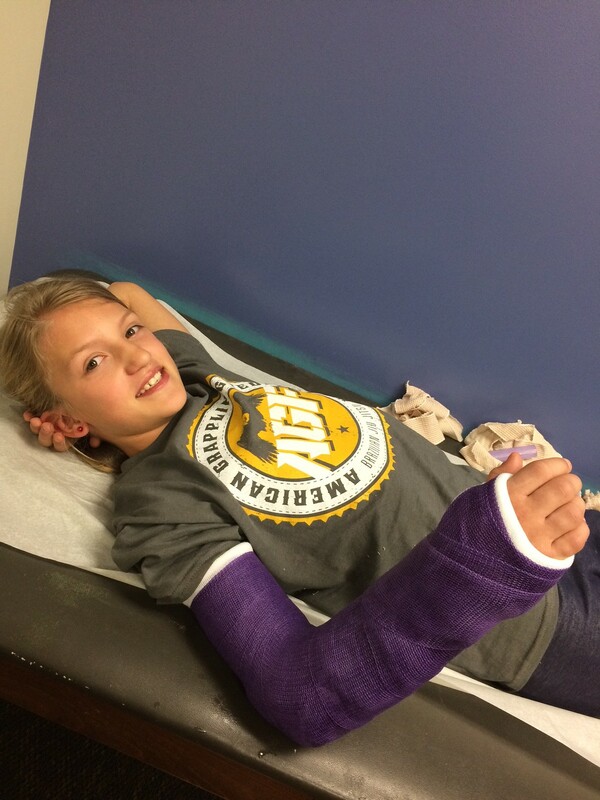 Out of respect to Eliot’s wishes and to the potential of freaking y’all out there will not be a picture of her broken arm posted anywhere on this site or anywhere else online. Since that night, Eliot has been her usual self – an absolute superstar. She’s been patient with her immobility, obedient with the doctor’s instructions, hasn’t complained a bit and has been quick with a smile…other than the smile part, we have no idea who this child is! She will not require surgery, thank God, and will be in a cast a total of about 8 weeks. So far she says she misses being able to play and be active the most and she really misses her jiu-jitsu and dance classes. I miss being able to rough house with her, but I do like the child who has emerged from this experience. Before this happened, Casey and I had noticed that Eliot has been subtly different from the little girl we’ve always known and loved. She’s still very much our baby girl, but she has matured a bit. She seems to have a slightly better understanding of the bigger picture of life and her responsibilities and role within that picture. This experience with her arm has caused another leap in the direction of further maturity which has been really interesting and wonderful for us to experience along with her. Eliot has always been a little fireball of energy and light from the day she was born which has been fun and challenging all at the same time. Casey and I have felt from the beginning that if we could just get all of Eliot’s energy focused in the right direction she’d be a force to be reckoned with in any pursuit in which she chose to engage herself. Lord willing, the Eliot we’ve come to know this year and the little girl we have walked with through this experience represents a sign of things to come for her……Lord willing. Look out world, here comes Eliot McKenna!! I never knew love at first sight was real until the day my eyes first settled on this squirming, squealing, slimy, red-faced infant named Eliot McKenna…and for a guy who for many years never wanted anything to do with kids, that is saying a lot! 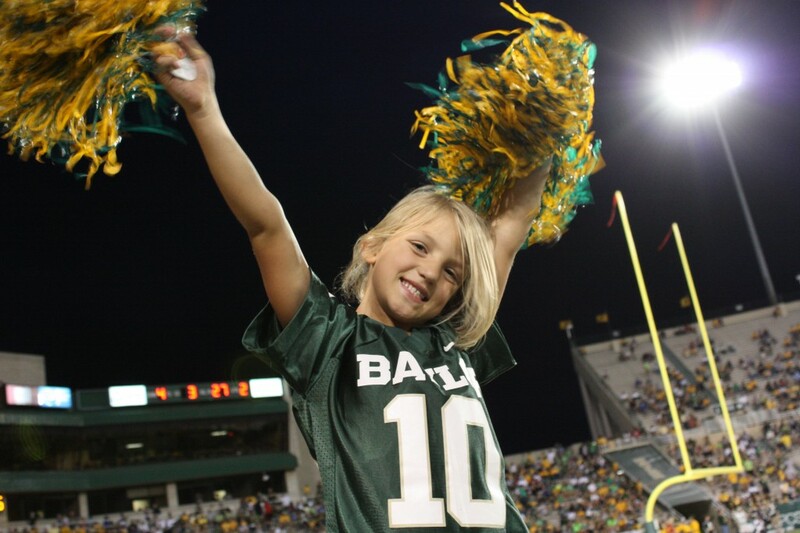 She came into this world in a flash – three weeks early and after a blinding-fast 5 hour labor and delivery – and she hasn’t slowed down since that day, July 14, 2004. 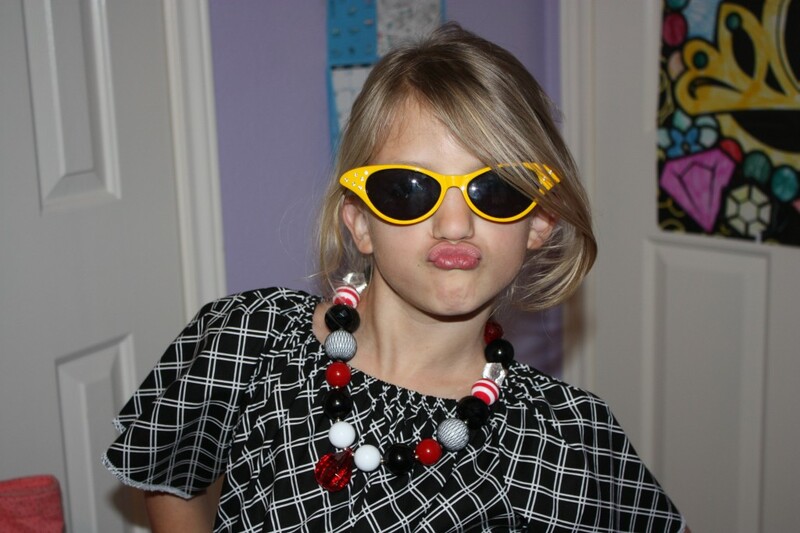 Since you are reading this blog, by now you probably know our oldest daughter quite well. And by now you probably know that Eliot, aka Little Miss Sunshine, aka quint big sis, aka the little spark plug has a little bit of sass and a whole lotta spirit inside of her and that would be putting it lightly! She has been a fireball from the day she was born and these last 7+ years have done little to temper the flame that burns inside of her! Eliot loves to have fun, she loves to be the center of attention, she loves to be a total nut, and she sometimes loves to put on a little drama to get even more of that attention she adores so much! In many ways, raising Eliot has been an incredible challenge – channeling all of her energy and attitude into something positive, slowing her down long enough to get her to eat a good meal or get a good night’s sleep or give us a dang hug every once in awhile has at times been more than we believed we could handle. No kidding about this – there were times before the quints were born that Casey and I were pulling our hair out because Eliot’s demands were driving us to do so…haha – little did we know!! But truth be told, in many ways, raising Eliot has been rather, dare I say, easy…? She is a smart girl and is often very eager to please which means keeping her out of trouble has been much easier for us than it likely will be for Lila…or Ryan…or Britton. She has done great in school, is super social so making friends is never an issue, and is generally a happy-go-lucky girl with a ready-for-life attitude that can be extremely infectious at times! Without question, one of our first and most perplexing concerns when we learned that the quints were about to invade our little world was how Eliot would be impacted by the dramatic changes that were coming to her. How would we have time to commit to her like we had before? 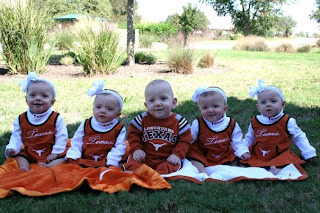 Would she get overshadowed by all the attention the quints were sure to get? Big sisters and brothers always have trouble with just one new sibling, how could she be expected to welcome 5 of them into her life? We had our moments, no doubt about it, where our fears were realized. 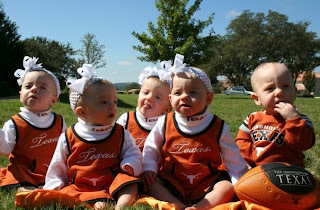 “Daddy, why did God have to give us 5 babies? Why didn’t he give us just one?” I remember Eliot asking me that question as I was tucking her into bed without story time one night, the quints having exhausted the energy I usually reserved to read to her before we turned out the lights. If you’ve been a parent long enough, you’ve been asked one of these types of questions from your little ones and you know the pain, guilt, frustration, and sadness that results from having to answer as best you can. “I don’t know sweetheart. God chooses different challenges for different people and this is ours. It doesn’t change his love for us or our love for you. It will all work out, I promise.” Nothing in this world is more difficult than saying those words to your sweet little one!! 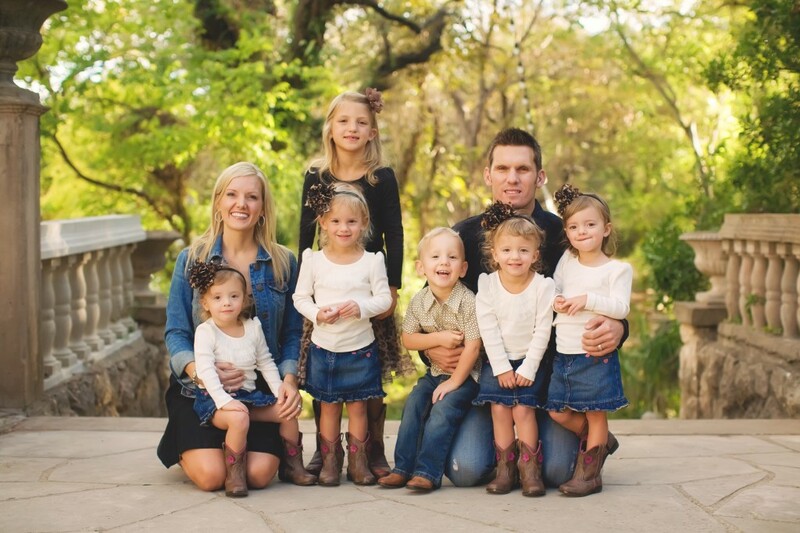 But ask her about that today…about having 5 babies instead of one…I think the question would confuse her. God has resoundingly answered our prayers and helped us find ways to keep Eliot from getting lost in the shuffle of the quint craziness – she is 100% hooked on being an awesome big sister! 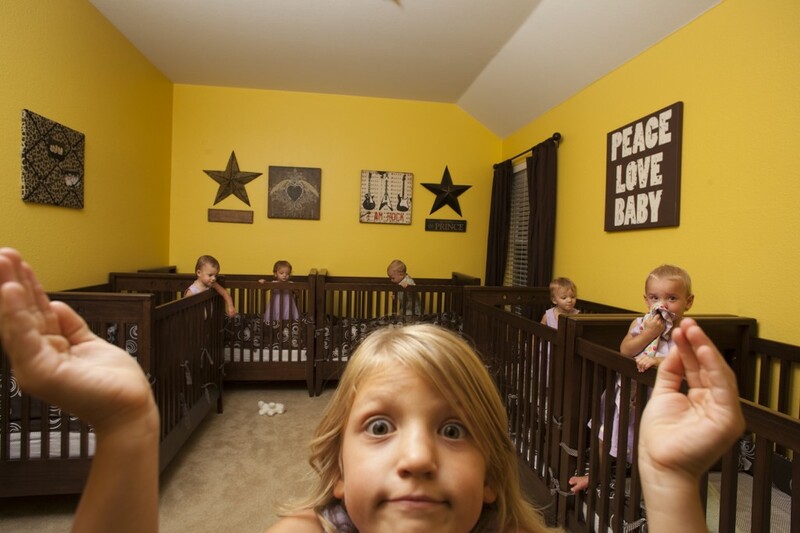 These days the questions are more like this: “Daddy, can we wrestle with the babies tonight?” and “Mama, can I have spa day with the babies in my room?” And she absolutely can’t wait for the kids to get fully potty-trained so she can have sleep overs in her room with them on the weekends! And she really made us proud when she went through her stuff and found special gifts for each of the 5 to give to them for their birthday…sweetest thing ever! Yeah, I’d say she’s over it, the 5 at a time thing, and actually I think it is safe to say she’s actually loving it! – When Casey was pregnant, one of the babies always got up underneath her ribs on her right side and caused her considerable pain. Every time this happened, Eliot said that it was Lila who was being the trouble-maker. 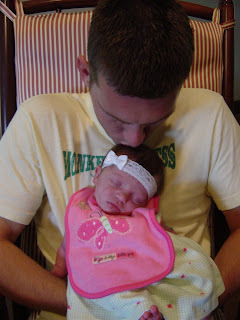 – When I took Eliot up to the NICU to see the babies for the first time, we had not assigned any of their names yet. At that time, they were just babies A, B, C, D, and E. As I was holding Eliot in my arms and walking around to each of their cribs she didn’t have much to say, seemingly overwhelmed by the experience and trying to reconcile the images in her head of a newborn baby with these heavily wired, hooded, sunglass wearing little alien creatures that she was now being told were her new sisters and brother. When we got to Baby D, she immediately pointed to her and said, “This one is Lila!” We had no idea at the time how we were going to assign the names we had picked out, but clearly this one had to be Lila! – To date, Eliot has given one baby a nickname and she gave it to Lila the day she came home from the hospital, christening her “Lila Bear” the moment she saw her that day. 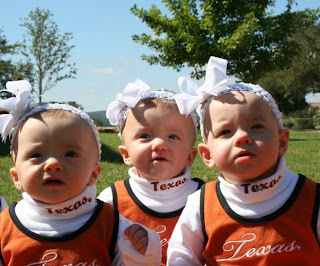 – Both Eliot and Lila were born with umbilical hernias that went away on their own after about six months. None of the other babies had one of these. – Everyone who sees Lila (and there have been many, many people!) has said that Lila looks just like Eliot from the very beginning. 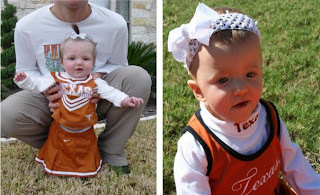 Even people who have only seen the two girls in pictures from the blog have commented that they look exactly alike. I guess the picture above is the final verdict! Who knows what all of these connections mean, but Casey and I can’t help but feel that there is a special bond between these two little beauties…can’t wait to see what’s next as the relationship grows! 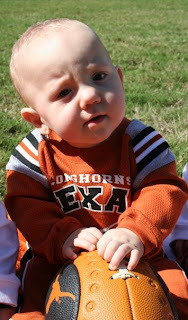 Here are some other pics that were taken the day before the annual Red River Rivalry between Texas and Oklahoma. Texas took the title once again!! 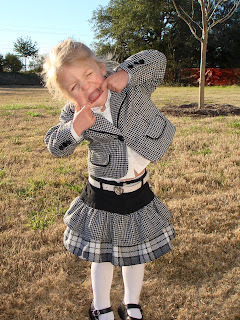 – Eliot LOVES just about everything to do with going to big girl school…except getting out of bed at “night”! She is not used to getting out of bed before the sun comes up and on the first day of school as we were preparing her breakfast and getting her ready to go, she asked, “why are we doing morning stuff at night? !” Hilarious! – She loves PE, but is really looking forward to going to the library, which didn’t happen last week for some reason. Hopefully this week she’ll get to go! – She is also not a fan of the 30 count rule at the swingset…each kid on the swings has to count to 30, then let the next kid go after that. Obviously, that is not a popular rule! – She is all about riding her Razor (scooter) to and from school every day like all of the other big kids…too cute! – On Tuesday, before she discovered the Razor phenomenon, she wore her new tennis shoes which, according to her, make her run really, really fast. I’m not kidding when I tell you that little girl sprinted the entire way to and from school that day to show how fast she was!! The First Walk…We finally took our first walk today with the whole gang, something we’ve been looking forward to for quite awhile now. Casey, Eliot, and I used to take pretty regular walks around the neighborhood, but have had to put those on hold since Casey went on bedrest nearly a year ago. For whatever reason, we decided today was finally the day to get the babies out on the road for a little stroll. I don’t know if it was the heat or the newness of being in a stroller or if that little demon that shows up in our house from time to time to torment us, but the babies did not enjoy the experience one bit! You’ll notice in the picture above that four out of five are very eagerly expressing their displeasure with this whole walk idea! There was at least one baby crying…no, check that…screaming is a better word for it…the entire time we were out there and usually it was two or three that were…uh, yeah, SCREAMING!! Regardless of that, I’m glad we got them out there and knocked another first off of the list…maybe we’ll wait for cooler weather before we try that one again! Boot Camp Update…I am very happy to report that we have logged significant victories in the battle for house control! The babies are just no match for the classical music, the soft, cuddly sleep sacks, the warm, frothy goodness of a bottle of formula, many talented baby-helpers, and two very determined parents!! For much of the month of August, we have managed to get them all down no later than 9:30, with at least two of the babies (one of them is always Britton, Baby Bright Eyes) getting up in the middle of the night for a little snack bottle. But for the last three days it’s been closer to 8:30 with only Britton getting up. It may be too early to stake this claim, but, what the heck, VICTORY IS SWEET!!! And finally, a couple of random notes. Britton is the first to be able to sit up without any help…see the picture! She’s awesome…doesn’t even do the baby-forward-lean to do it! We now feed them all cereal two times a day, mixed with green beans for dinner…hmmm, yummy! Jack and Ryan are not fans of the cereal, but Lila loves it and the two B’s, Brooklyn and Britton are pretty ok with it all. Actually, Ryan the Lion pretty much screams her entire way through her bowl of cereal!! Ryan seems to have all of the necessary skills for doing a real crawl, but hasn’t figured out how to coordinate it all just yet. She’s soooooo close!! Last note: I begin school again tomorrow so say your prayers that I’ll somehow remember how to juggle this madness once again!!! 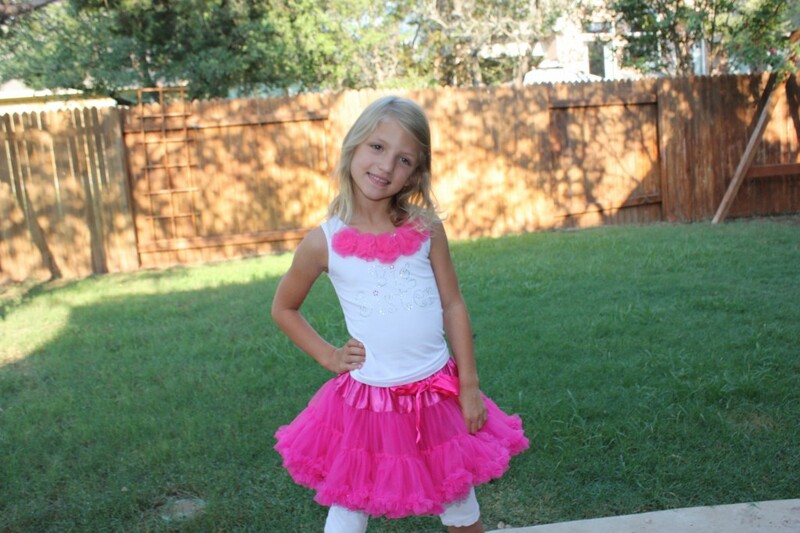 Eliot turned 5 years old today…we can’t believe our baby girl is all grown up now!!! Well, I guess “all grown up” is a relative term – I guess grown ups don’t put on singing shows for their parents while wearing a princess night grown and singing to “A Whole New World” from Aladdin like Eliot did last night. And I guess most grown ups don’t request pumpkin pie for their birthday treat or pout for half an hour because one of their party balloons floated away while unpacking the car. And I would have to say most grown ups do not spend their evenings drawing pictures of their family, complete with rainbows, sunshines, smiley faces, and Daddy’s spikey hair. But she’s definitely not the tiny six pounder who came into our lives five years ago today and instantly turned our lives upside down for the first of many times to come! She’s not the little one-year-old that I used to call “Two-Toofers” because of the two front bottom teeth that she flashed with every smile. She’s also not the toddler who used to run around the house on her tiptoes, used to use my stomach as a trampoline, once spread diaper rash cream all over her face and her stuffed tigers face because they had a rash, and each night at bedtime was never satisfied with just one book. And she’s not the four-going-on-thirteen-year-old who developed a taste for independence early on in life and made sure everyone around her respected that freedom. Nope, as all who have kids know, the changes come fast in the first years and with them new joys and an almost equal amount of headaches – headaches that only appear when you forget to laugh first! We’ve loved every minute of it, Little Miss Sunshine, and can’t wait to see what the next chapter in our lives brings!! Happy Birthday, Eliot! We love you! As has become our annual tradition on Valentine’s day, Eliot and I went to Build-A-Bear to find the perfect bear to add to her collection. I started this tradition for her first Valentine’s and we’ve been every year since. In years past, it’s been a lot of fun for me to watch her take it all in and try to get her to understand what was happening. 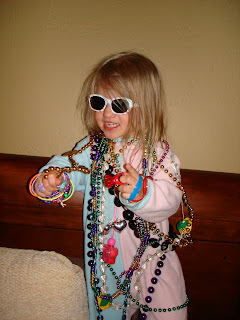 Every year she did better than the last, but she never quite got the concept which made for some fun times. This time was cool because it was the first year that she really knew the program and fully understood what she was there to do. The result was one very fluffy panda bear named Spots and one very happy little girl! As you can see from the pictures, I decided to add a little adventure to our annual Valentine’s tradition. 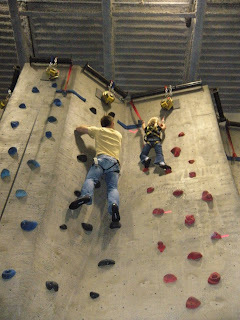 Once the Build-A-Bear mission was complete, off we went to The Main Event where they have an incredible indoor rock climbing facility. Eliot had tried to do climb one of these walls about 18 months ago at one of our church events, but she was way too small. I really don’t think she was officially big enough to do this one either, but the staff didn’t check her and we didn’t offer it up. As you can probably also tell by the pictures, what she lacked in size, she made up for in attitude…there was no fear in her as she attacked these 30′ walls!! On the first couple of tries, she got stuck after she got about 1/3 of the way up on the vertical walls so I moved her over to one of the angled walls. She quickly scrambled her way to the top and rang the bell! After that, there was no stopping her. 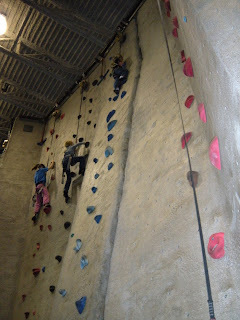 She handled about five of the different walls, including two that were vertical and one that had a pitch change about half way up. She went for an hour non-stop – I had to drag her off the wall when our time was up!! To understate it just a bit – I was one proud daddy! Not so much with how well she did, but with the spirit she carried as she took on this new challenge. 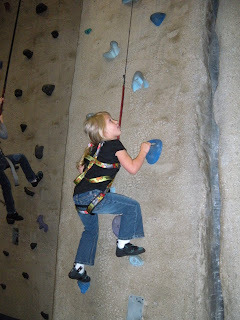 I didn’t tell her anything about what we had in store for the day so she knew nothing about the rock climbing walls until we got there. When she saw the walls and realized what we were there to do, she was all in. She didn’t get frustrated when she got stuck and she even ignored my attempts to coax her over to some of the easier walls. She simply said, “I just have to try, Daddy. As long as you try, you can do it, right?” Though not 100% accurate in her statement, I was bursting when she echoed back to me one of the many lessons Casey and I have tried to teach her from the day she was born! I’ve always been a little cynical about the most pernicious of the Hallmark holidays, but I’ve got to say I am now a full fledge convert to the ways of the Valentine. To put it simply, Valentine’s ROCKS!! !